You Haven't Seen The Best Of Me! (Toi Meguri) Review｜MANGA.CLUB｜Read Free Official Manga Online! Reviews / You Haven't Seen The Best Of Me! This is a good manga. The art is unique. 2 main characters are cute. And I really love the cover. It’s so adorable. Very sweet story with cute art. Its refreshing to read a story where the characters aren't afraid to push social norms. I can't wait to read more. I think it's a sweet story that has an interesting concept of mistaken gender. I think the art is nice too. The premise sounded fun and the cover is cute, but I got bored a few pages in. The art seems slightly inconsistent but it's still good. I don't think I'll be continuing it but it was nice to give it a try. I actually bought more coins to read more of this. I really like these type of stories- trap vanilla manga. I wish I could read more of it for free though! It is deceiving of course, but I love it as a story. I've tried finding more gender benders for a while, since it's hard to find this kind of theme in manga and anime. I can't wait to keep reading! I had a hard time getting into the story because the pacing was not good. The art is okay, but the plot is forgettable. I'm disappointed because this looked like a manga that I could enjoy. The story's art style is pretty decent and suits the story. While there are a few plotholes in the story, it is believable as the situation could occur in the real world. I wouldn't recommend it to anyone but it was fun to read for a few chapters. The pacing is off and the art is okay. The premise is intriguing albeit creepy considering the real world implications of such deception. I just can't get invested. Preheat the oven at 185 °F (85 °C). Sieve flour and baking powder in a bowl. Add cocoa powder and set it aside (if you're making a chocolate cake). Add the sugar to the eggs and beat it properly until it becomes smooth. Add oil and then beat it again until smooth. Add the vanilla essence if you want. This was actually a good solid read. It's really cute and nice. The character's designs were fairly distinct and nice. I'm actually glad I got to read this story. This is ok. It had potential to be interesting but after 20+ chapters has fallen pretty flat for me. It's painful to see the main character, Sakuya, fall in unrequited love with Akito with pretty much ZERO hint that his feelings could ever be returned. At this point I just wish Sakuya and his friend Yuuki could fall in love, it seems more likely to happen. I get wanting to build up a relationship and feelings gradually, but this is getting ridiculous. The plot is actually quite bland. And there's a huge plot hole. The description of this manga doesn't show the whole story. Sakuya and Akito, Yuuki's brother only have mutual feelings as friends. Sakuya actually pretends to be the little sister of his older sister who is in contact with Akito. The plot hole is that even though Sakuya lies to be the little sister, Akito who knows the older sister by Line never disclosed that relationship to her. So basically, Akito knows this fake little sister, meets up with her a lot, but never tells the older sister that he knows her "little sister". It's a pretty good romance manga, but it's also pretty normal. It doesn't do anything creative, nor is the artwork/writing/etc. 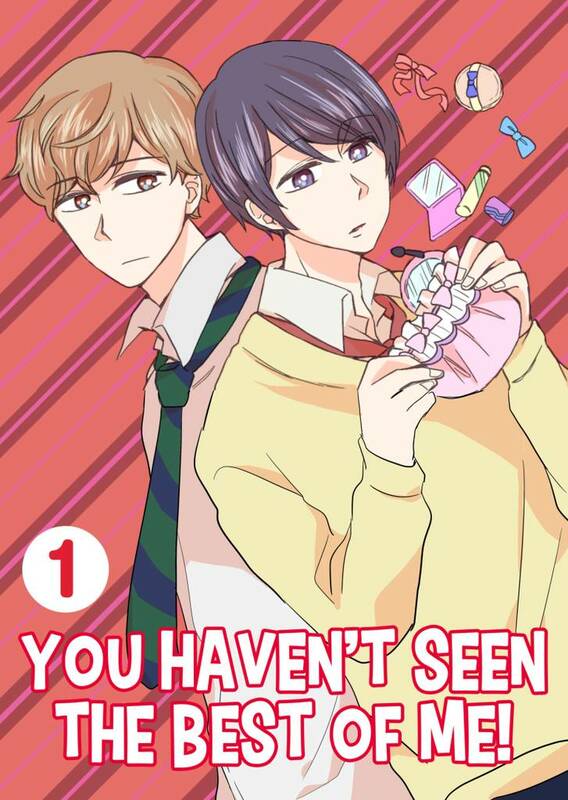 particularly striking, and as someone who's read a LOT of romance manga, I can't help but feel that it's simply a normal, fun to read romance manga, not something you remember months or years after reading it. It is a fun read though! very cute story on the surface, but underneath there's so many ulterior motives. I like it!